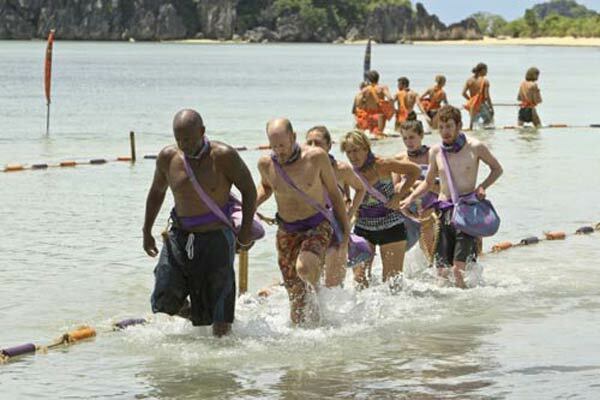 The “Fans vs. Favorites” concept on Survivor is tricky because there’s such a big difference in playing as a newbie. The returnees are savvier in both game play and hogging the camera, so it pushes the fans into the background. Such is the case with Julia, a quiet 21-year-old who seems nice but lacks the big personality. It seems unfair to be too critical of her; not everyone can be Phillip. Despite the editors’ attempts to show dissension in the favorites’ ranks, it’s clear that none of them are going home. Their numbers advantage makes it a foregone conclusion, and even volatile players recognize the importance of proving their trustworthiness. Cochran wisely explains that their former allies are going to be skeptical if they don’t follow the plan before the merge. It’s down to Michael or Julia, and it’s a mild surprise that she’s the one to exit. He seems like the more capable player and is more interesting for viewers, but it might not help the favorites to retain him. “Tubby Lunchbox” is a light episode and spotlights the delusions of Phillip. Not since Coach’s first season in Survivor Tocantins have the editors found so much enjoyment in making a player look ridiculous. The problem is that it’s taking time away from other players. Under-the-radar challengers like Brenda and Erik are still rarely getting to speak, and they could play a major role in the outcome. 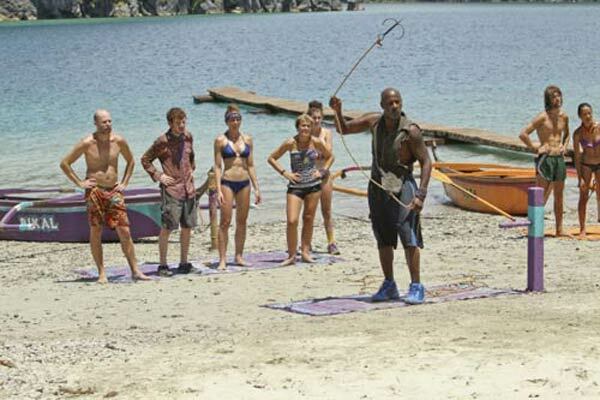 Phillip does provide one of the season’s best moments when he claims to have thrown the immunity challenge. Because he failed to dethrone Reynold and be the hero, he obviously wasn’t trying to win. The camera closes in on Cochran’s face as Phillip rambles on, and it’s priceless to watch him struggle to not laugh. Corinne also takes more shots and calls the specialist a “tubby lunch box”, which is a new favorite phrase. Her snarky comments remain in full force this week, though her game play is questionable. She’s so focused on aligning with Michael that she’s missing the danger. 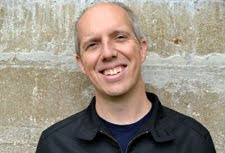 A bold prediction: Neither Phillip or Corinne even makes the final eight. Both are the obvious targets if a favorite wants to flip on the alliance and take charge. Speaking of seizing control, the rare Gota scenes show Malcolm building a relationship with Reynold. This is clearly not an equal meeting of the minds, which benefits the returning player. Reynold giddily reveals that he has the idol, which gives all the power to Malcolm. He can’t believe his good fortune and starts plotting to make a big move after the merge. His “alpha male” alliance is smart because it puts other strong guys in front of him. They’ll be the targets first, particularly fans like Reynold and Eddie. Malcolm learned that it isn’t wise to be the strong guy battling weaker players near the end. His chances of winning the top prize are much higher with similar foes at that time. With only four fans remaining, they could still play a huge part in determining which favorites move forward. If Malcolm can find a way to get Michael and Corinne to join their group, then it just takes one more vote to change the game. The immunity idols could also flip the numbers and create serious havoc when it becomes an individual game. The tribe swap last week created a serious discrepancy in challenge skills, and Bikal goes down hard twice. The reward challenge is a personal favorite, but it never gets rolling because one tribe is so much better. Teams must run around a water course carrying 20 pounds while chasing the other group. If anyone drops out, another player must hold their weight. It’s a brilliant challenge because it’s simple and requires strategy of when to pick up the pace. Phillip ruins any chance for Bikal to compete by putting himself in front and refusing to run. It’s a ridiculous moment and shows his delusions. Corinne is ready to explode, and everyone else wisely holds their tongue about it. Gota wins coffee, cookies, and other goodies for this challenge. Dawn wonderfully undercuts their win by claiming it will lead to a “diarrhea fest”. Apparently, that grisly mess was left on the cutting room floor. Even though Bikal does better at the immunity challenge, they still lose and are headed for another Tribal Council. Reynold proves that no one in this world is better at throwing things. His grappling-hook skills push Michael and Julia to the brink. Phillip and Corinne continue to fight, particularly when she disputes the idea to split the vote. Her theories are incorrect, but he handles it badly. Cochran and Dawn act as mediators and are playing nearly flawlessly. Although she’s known as being nice, Dawn throws Julia under the bus without a second thought. She seems intent on being more strategic and won’t hesitate to backstab other players if it gets her further. The first vote is a tie, and Julia becomes the target on the re-vote. Michael handles being on the chopping block well, and there’s a strong possibility he won’t be in danger when the merge happens. This season hasn’t been great so far, so it’s going to take a serious improvement to make it a classic installment. Jeff Probst claims this is an excellent season, but that praise feels misguided so far. It’s mostly just setting the stage for the time when the favorites battle. The fun should begin next week.